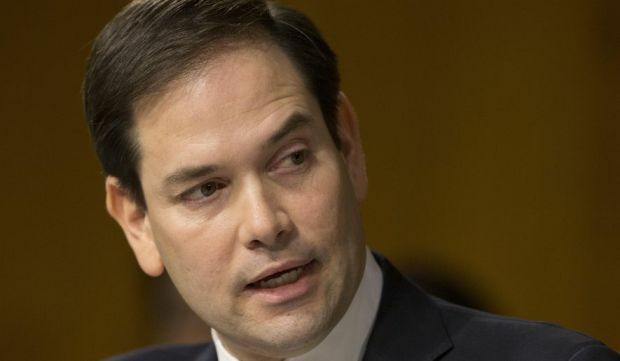 The United States Senator for Florida, Marco Rubio, has waded into the recent re-arrest of Ethiopian journalists and other political prisoners, urging the Ethiopian government to release them. Tweeting the AP report on the re-arrest, Rubio’s PressShop wrote on Friday: “Ethiopian journalist Eskinder Nega, who was recently released after 7 years in prison on false charges, was just re-arrested. “I urge the Ethiopian government to release him and other political prisoners. #expressionNOToppresion.” The Senator joins a long list of other rights groups – local and international, piling pressure on the regime to release the detainees. They were arrested for attending an unauthorized gathering and use of a banned national flag. The gathering in question was a welcome party for recently released prisoners in the capital of Amhara regional state, Bahir Dar. Aside Nega, others picked up during the gathering were, Andualem Aragie, leader of Ethiopian opposition UDJ party, journalist Temesgen Desalegn and bloggers Befeqadu Hailu and Zelalem Workagegnehu. The multiple-award winning Nega who was jailed in 2011 on terrorism charges is on record to have said he was ready to return to jail if the democracy was not respected. “I am prepared to go back to prison. What I am not prepared to do is give up. We will continue to press and struggle for freedom of expression and democracy,” the 47-year-old said in an interview days after he was freed. According to regulations of the Command Post overseeing the latest state of emergency declared in mid-February, people are prohibited from gatherings that do not have the approval of relevant authorities. On the subject of the flag, the gathering used the Ethiopian plain flag, which does not have the blue disc contrary to law. A proclamation regarding the use of the Ethiopian flag prohibits the display of the flag without the emblem at its center and those contravening the law could be sentenced to up to a year and a half in prison. Some Ethiopian opposition groups have on several occasions expressed their displeasure with the new flag arguing that the ruling coalition, EPRDF blue disc star symbolises ethnic division. The country is to swear in a new Prime Minister Abiy Ahmed from the protest-hit Oromia region. He takes the mantle after the resignation of Hailemariam Desalegn who quit to allow promised reforms to be pursued.